This may be a tough one for many, but the truth is plastic is unhealthy for foods when heated. It’s unhealthy for everything when heated, including landfills, but that’s another topic. Most already know this, yet coffee makers, hot water dispensers etc are pouring boiling liquids through plastic. The coffee basket & K-cups are dripping boiled plastic particles into every cup of coffee. Coffee on-the-go is not safer. Styrofoam cups leak hazards into the cup when heated foods & liquids are added. Drinking heated liquid through plastic lids causes the same harm. Understanding the science behind this: When plastics made from PVC (polyvinyl chloride) are exposed to warm liquids they release toxic substances in the body, whose action on hormonal receptors are known to stimulate the growth of some cancers (particularly breast cancers, prostate cancer and cancers of the brain). Polycarbonate plastics may cancel the benefit of cancer treatments. A new study points to BPA-Bisphenol A – one of the components of the PVC present in polycarbonate plastics found that the warm plastic will create resistance to cancer treatments. Polycarbonate plastics are used to make numerous types of containers that we use every day: coffee makers/pots including those popular K-cup machines, electric kettles, disposable glasses/cups/plates, baby-bottles, tins, soda cans & some dental crowns. BPA was recently implicated by the US National Toxicology Program and by the Canadian government agency Health Canada. In a new study, researchers from the University of Cincinnati observed BPA blocking the effects of chemo. These results are important because the three chemotherapy drugs under study (doxorubicin, cisplatin and vinblastine) use very different mechanisms to stop the growth of cancerous cells. In addition, the study found that BPA protected both estrogen-receptor positive & negative breast cancer tumors. This means that BPA protects cancer cells at the deepest level of their capacity for survival – not just through hormonal effects, or via a single mechanism which might impact only a few chemotherapy drugs. By extension, therefore, it’s possible that BPA protects every kind of cancer from every kind of treatment. Avoid Plastics. Period. Be especially careful NOT to expose yourself to warm liquids that have been in contact with plastic containers. New studies have been pointing to even more devastating results for BPA-FREE! Further studies are underway before a true statement can be made. (why risk it?) Avoid Plastics. Period. Be especially careful NOT to expose yourself to warm liquids that have been in contact with plastic containers. Note that the problem does not occur with plastics that have not been heated, for example bottled water, or plastic containers in the fridge or freezer. however, we do know that bottled foods and drinks in plastics are exposed to warmth via heated warehouses, delivery trucks and cargo containers. Use a coffee pot made from organic materials. 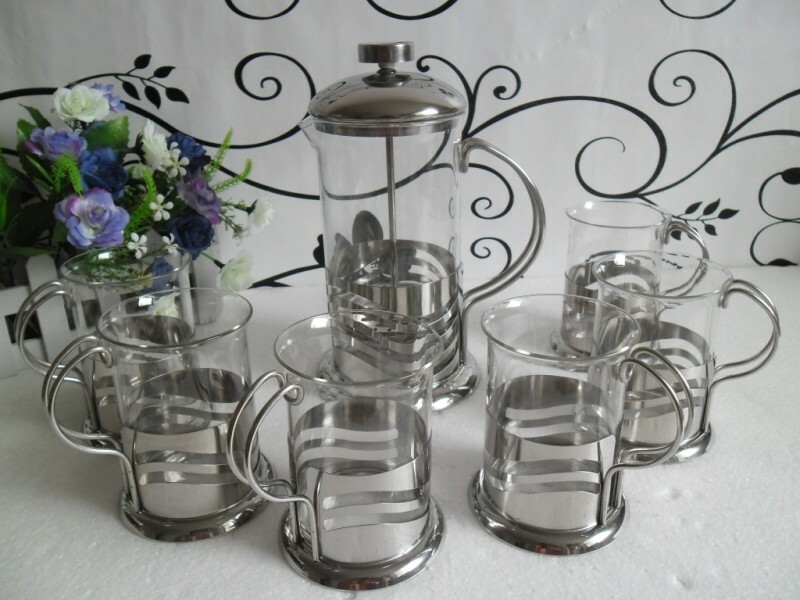 A French Press & Ceramic Travel Mugs are fabulous for heated foods & beverages. If you have a favorite store that sells the best take out coffee, bring your own stainless steel travel mug with stainless lid, or glass travel mug with glass lid. Most will fill your own mug. DID YOU KNOW: the plastics mentioned are all initially made from fossil fuels. Cut your plastic use and help save your health and the health of the planet.